Leading US start-up CompStak is bringing its data expertise to London - but what sets it apart from the competition? In the property market, information has always been king. But today, in the era of big data, the thirst for information from property professionals has never been more intense. It is a thirst that US-based property information service CompStak was set up to quench. The crowdsourced platform was founded in 2011 in New York and raised $570,000 (£430,000) in its first round of funding. Five years later, the company is now a leading start-up in the US market, providing detailed records of rents, square footage, landlords, tenants and other useful data, which it describes as ‘compstables’, or ‘comps’, on 18 metropolitan areas in the US, including all the major markets and most of the secondary markets. 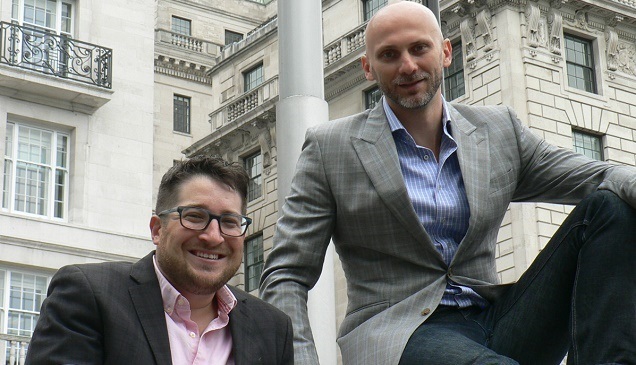 Now the company’s founders have decided to bring their data expertise to the UK, creating a brand-new database on the London office market that launched in April. So what can CompStak provide that others can’t? Prior to founding CompStak, Michael Mandel, chief executive, worked at Grubb & Ellis advising tech companies and creative firms on their property requirements. He spent hours in meetings trading comps, and most of the deals being discussed were irrelevant to him. Mandel started attending tech start-up events three to four nights a week for months on end, trying to locate the right partner. Eventually, he came across CompStak co-founder Vadim Belobrovka, an entrepreneur who had an impressive track record in software engineering. But even with the concept and tech expertise in place, getting the company off the ground presented a challenge. “It was not easy,” says Mandel. “We started about five years ago and I was still working as a broker. At the time, there was no such thing as proptech or real estate tech – nobody cared about that. Mandel proved to be a decent salesman: in just five crowdfunding rounds, CompStak attracted $14.39m. The platform was built around the needs of property researchers and agents who were looking for detailed data on deals. It enables agents to trade their comps like a virtual currency, earning credits to acquire and use other comps on the platform. The accuracy of the data is measured directly by the people making use of the information – and given the number of people who have signed up to use CompStak, this information must be pretty accurate. The concept has caught the eye of US agents and investors, who now use the service as the main source of data on their deals. In London, Mandel says many agents and property firms have already joined and CompStak claims to have data for around 65%-70% of the office deals going on in the capital. The methodology behind CompStak’s data gathering gives it a major advantage over its competitors, argues Mandel, because data is submitted daily and comes directly from people involved in the deals. “Our data is more comprehensive and more detailed, and that’s because we are not gathering data from publicly available sources or from companies,” says Mandel. The system that CompStak has built puts the company at the cutting edge of technology, where machine learning and human expertise interact. This, Mandel believes, sets CompStak apart from its competitors – and not just in the property field. “Lot of people claim to do machine learning, but most of them don’t really do it,” he says. “It’s not simple; it’s complex. "The machine learning helps us to make the best decision from data that is mostly reliable. For the most part, our competition is based more around people continuing to trade comps among themselves than using a piece of software. This breadth of information is why the company enjoys high subscription renewal rates of 98%, according to Mandel. The cost of subscriptions for institutional investors and lenders depends on the size of the company and the market covered, but is typically between $18,000 and $750,000 per year. 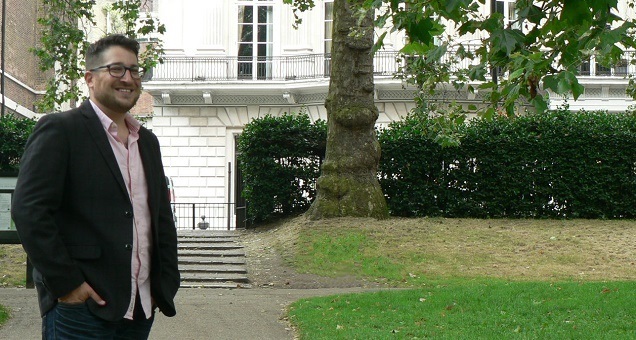 CompStak has already had conversations with some of the UK’s leading surveying companies and, based on those early soundings, Mandel is confident he will get plenty of British companies on board. Mandel believes the way the agency model in the UK works will aid its expansion. On this side of the pond, landlords hire agents to do their leasing and they might typically appoint two or three firms to represent them, whereas in the US there are only two property firms involved in a transaction. “This means we don’t need to have every firm on board sharing data to have every deal,” he says. Most of the UK deals that are currently registered on the platform are from the office sector, but the plan is to eventually cover all parts of the industry. “In the US, we do industrial and retail as well, and we expect to do these sectors here,” says Mandel. London data has been available for a few months now and CompStak plans to extend its coverage within the capital, getting more agents and property firms on board before gradually extending the platform throughout the UK. “After that, of course, we will use it as a springboard to enter other major cities in Europe, but it’s always better to take it one step at a time,” says Mandel.